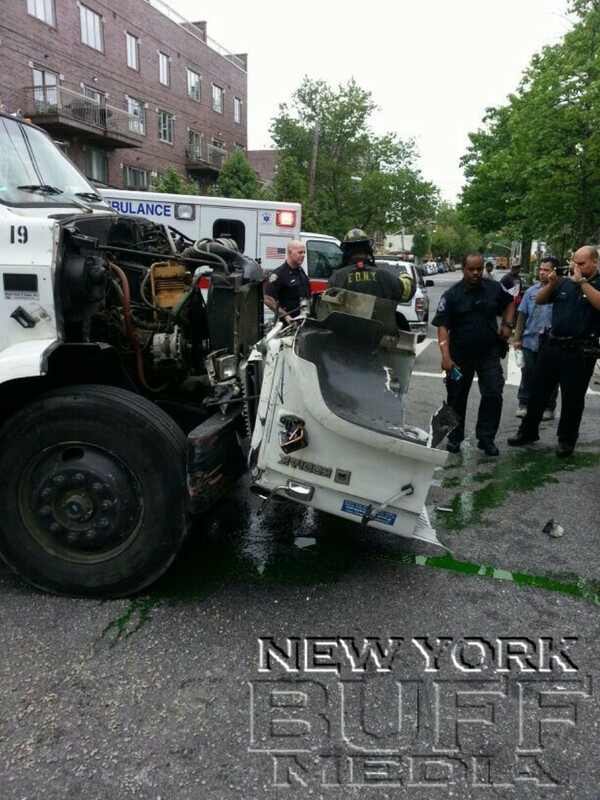 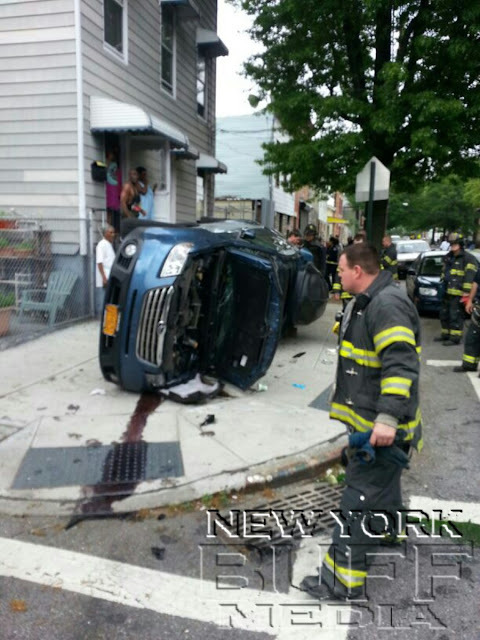 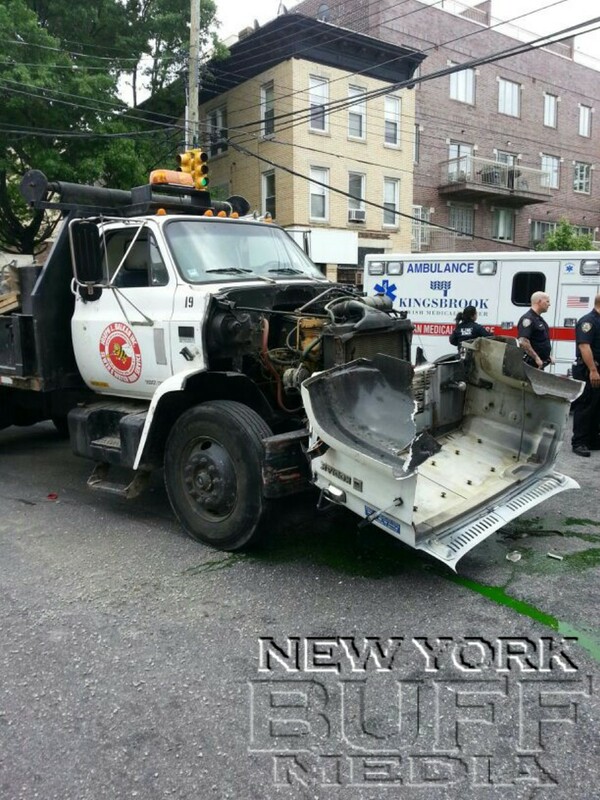 Crown Heights - A violent collision between an SUV and dump truck left a father and his three children miraculously with only scrapes and bruises, despite rolling over and slamming into a house. 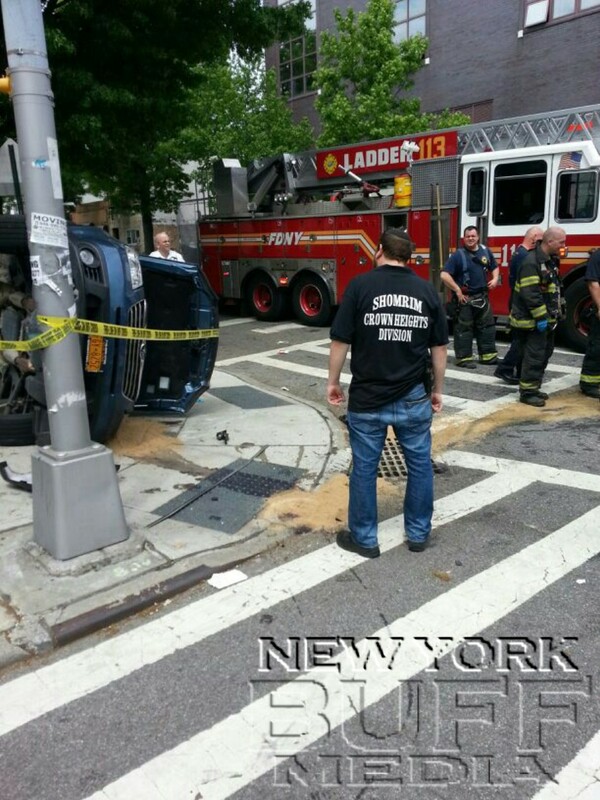 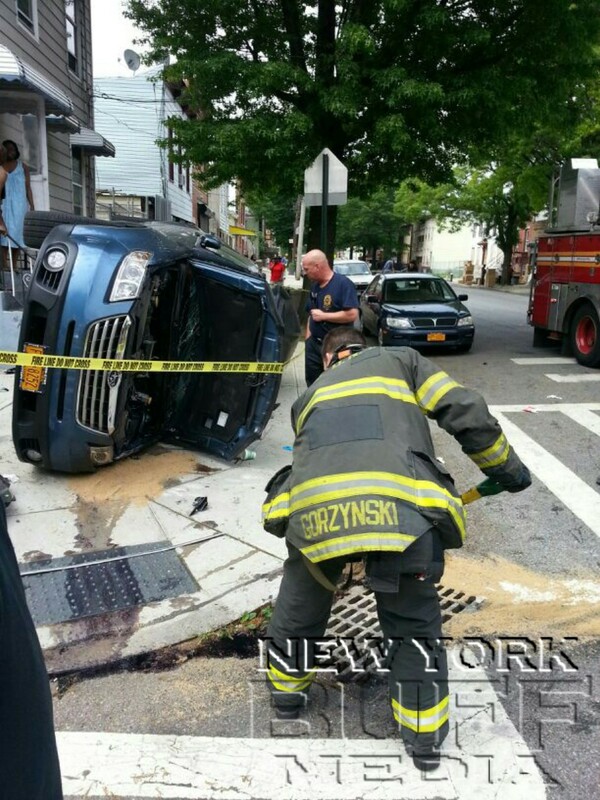 The crash occurred at around 11:00am in the intersection of Brooklyn Avenue and East New York Avenue. 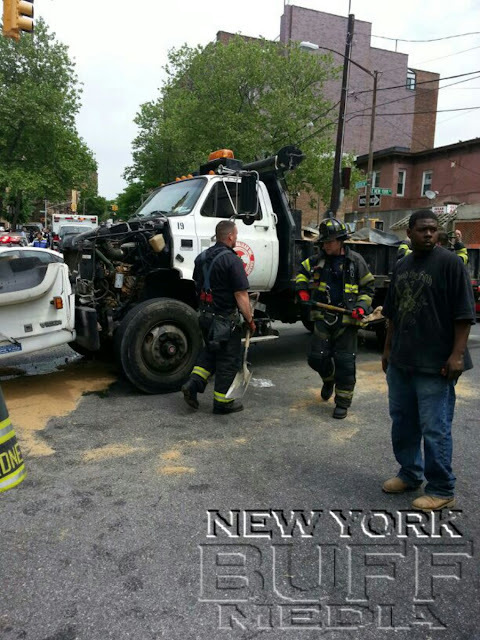 The SUV, a blue Subaru, was traveling down Brooklyn and was broadsided by the dump truck, which was carrying a full load of sand. 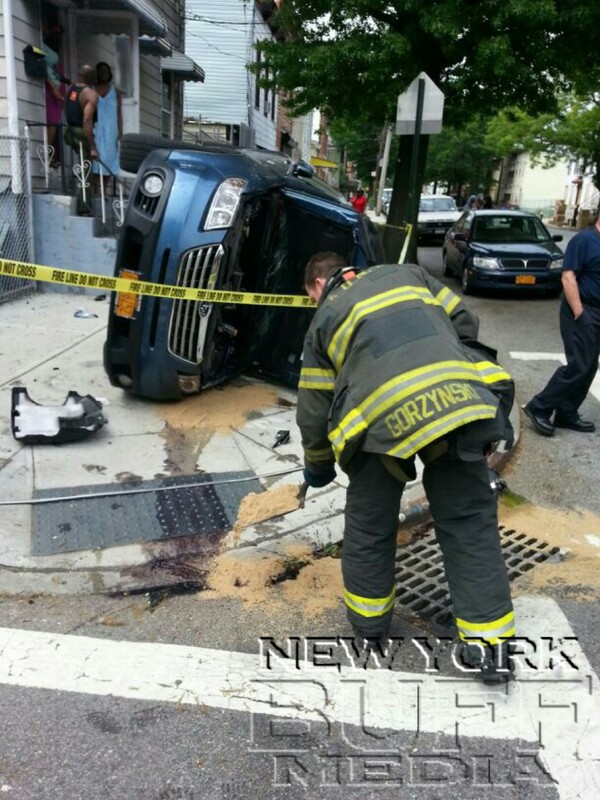 The collision sent the SUV spinning and rolling over onto the sidewalk. 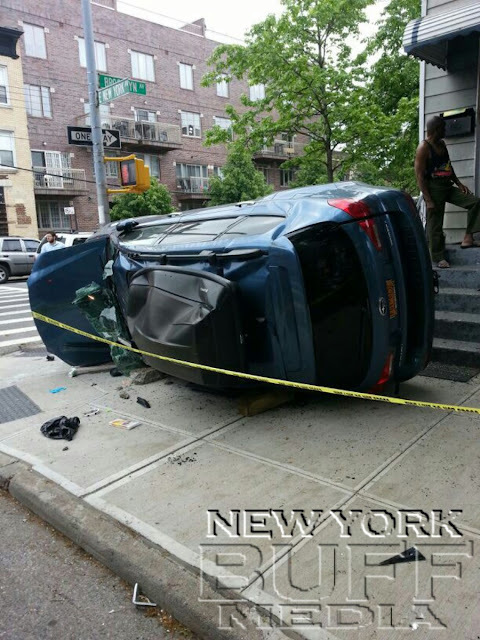 Miraculously all of the passengers, a father and his three young children, escaped without any serious injuries. One teacher from the nearby Beis Rivka described the sound of the collision like “a bomb exploded”. 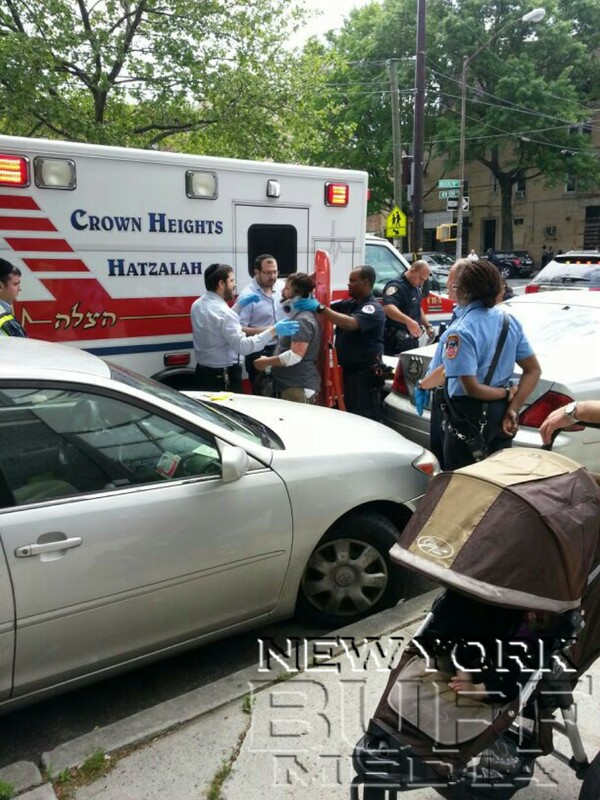 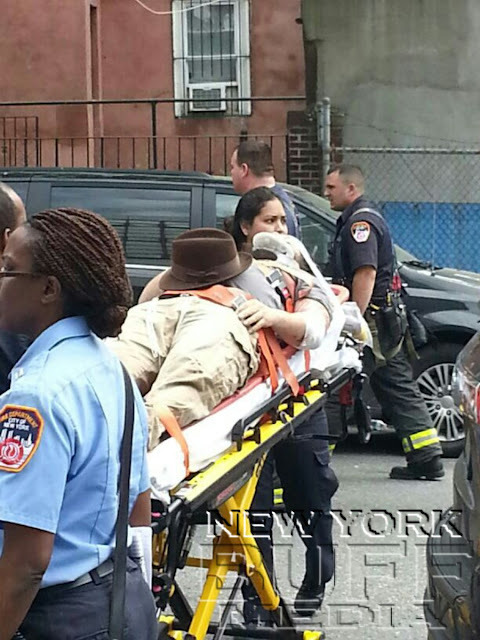 First on scene was a Shomrim volunteer who called Hatzalah and 911.